In November 2014 – Feb 15 we worked in partnership with Mansfield Museum to bring Mansfield Past Lives Project to the region. We called out for cine film, photos and memories of everyday past lives in Mansfield, and digitised, and edited the footage into a new film of Mansfield, We worked with young musicians from Brunts School to develop the music for the film soundtrack. Footage clips from the film will be uploaded to this site shortly and we will be reshowing the Past Lives Mansfield film at the Great Nottinghamshire History Fair at Mansfield Library on Sunday the 10th May. We will also have DVD’s available on the day. Drop in and say Hello. Keep an eye on this space as the digital archive we have developed in Mansfield will be going up here in the next couple of weeks. Photo above of Mansfield Museum. 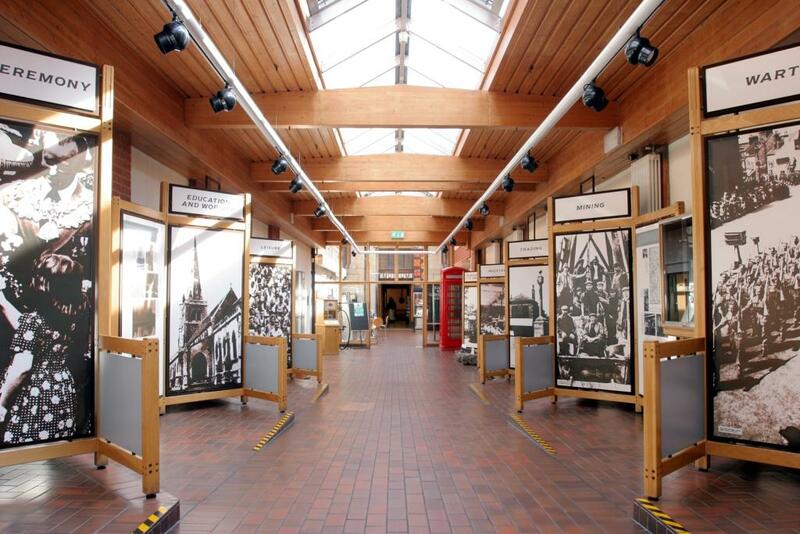 We worked with Mansfield Museum to coincide Past Lives with Mansfield Museum’s new HLF funded gallery space launch. Past Lives is a not-for-profit project, the price of the DVD goes towards supporting the cost of digitising cine film and dvd printing costs.